The Fembot was not the first figure in media to tap into this desire to control and craft the uncontrollable. Whether it’s been building time machines or building people, characters in science fiction have long been concerned with the idea of perverting the forces of nature to serve themselves; to make order out of nature’s chaos. It has been argued by many, and indeed has been postulated within this paper itself, that a key component of the Fembot narrative is the creator’s desire to fight against the imperfections of nature and create a ‘perfect’ woman; ‘perfect’ in the sense that she conforms to male developed criteria of how physically and socially a woman should perform femininity. Yet the figure of the Fembot would seem to carry the seeds of its own destruction as far as the fulfillment of this male constructed fantasy of ‘womanhood’ goes. The Fembot classically and logically lacks one thing that, for centuries, has been used to define the female body as ‘properly’ performing its own sexuality – motherhood. Being a creature of wires and gears, the Fembot is naturally unable to bear children, a failing that is generally used to mark human women as somehow less than ‘woman’ or deviant in the case that she is able, but refuses to partake in the process of repopulation. The Fembot is a character of intense sexuality. In many stories to perform sexually in a heterosexual pairing is her primary function, the reason she was created in the first place. So why would a figure that has been explicitly developed from male fantasy to fulfill, in every way, the societal expectations of femininity run contrary to the ancient and traditional patriarchy-based definition of the elemental act that makes a woman ‘woman’? The answer to this question is not readily apparent in readings of science fiction literature or in gender studies in general. However, when one considers more modern media, a parallel figure appears that allows, by comparison, a line of reasoning to become apparent. Film noir refers to a style of filmmaking that flourished in the thirties, forties and well into the fifties. Influenced by the German expressionism of the twenties and the call for post-war realism, film noir movies explore the grittier side of modern American life and the repercussions of a society in which people can move anonymously through and around each other to get what they want. 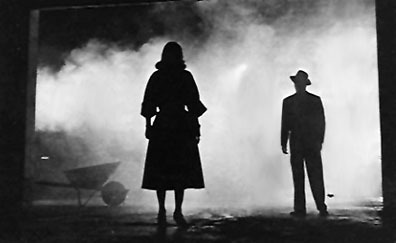 There are many tropes and stylistic traditions that occur in film noir. One of the most well-known archetypes of film noir is that of the Femme Fatale, a female character in the film that wields enormous power over the male protagonist. Often put in contrast with a “virgin” or “good mother” figure, the Femme Fatale is a potently sexual figure, a woman who is in complete control of her body and in complete control of the effect that her feminine wiles can have on men. While seemingly passive, the exotic and attractive Femme Fatale manipulates the male-dominated world around her for her own, generally nefarious, purposes. For this reason the character is also commonly labeled as “The Spider Woman” or “The Dark Lady”. More often than not, she is revealed to be a direct threat to the main protagonist and either succeeds in leading him to his ultimate doom (in most cases death or complete moral degradation) or is cast out at the last-minute, her true nature realized by the hero just in time. Whether or not her danger is discovered, she never truly succeeds in her plans, always being killed or otherwise unarmed by the narrative structure of the story. 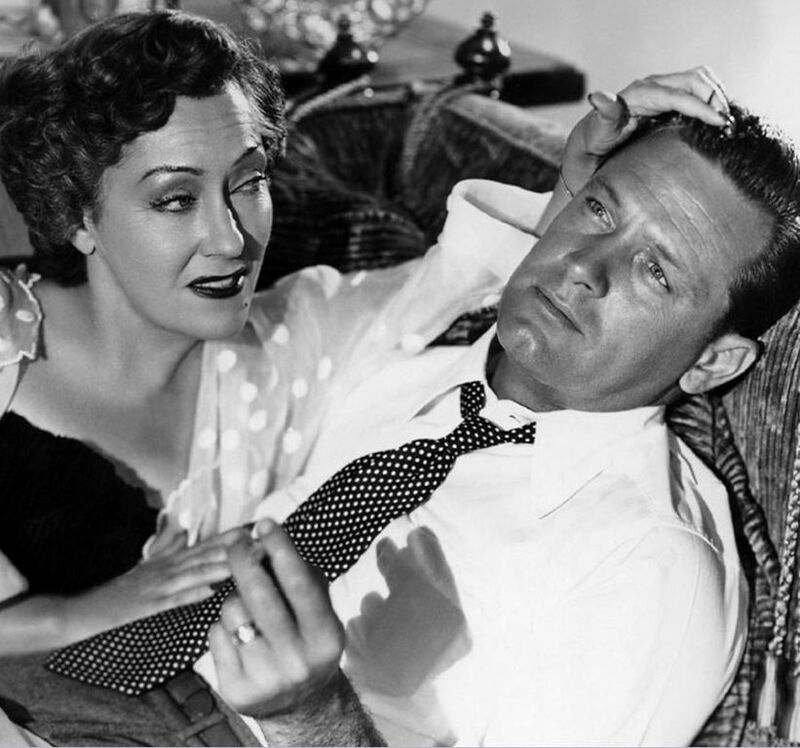 Whether played by nubile blonde bombshells like Barbara Stanwyck in Double Indemnity or by aging dark-haired temptresses like Gloria Swanson in Sunset Boulevard, the Femme Fatale is an infinitely compelling and memorable figure. The Femme Fatale represents a woman who is not only in control of her sexuality and her sexual life, but the Femme Fatale in fact evades male imposed consequences of sexuality. The Femme Fatale, like the Fembot, is an inherently ‘barren’ character. She does not bear children and when children are under her control, under the guise of her being a step-mother or guardian, she is coded as clearly unfit and uncaring, using them as an end to her means just as she does everyone. It is the fact of her sterility that allows a comparison to be drawn between the Femme Fatale and the Fembot. Both are figures which are born out of male fantasy and desire. Both operate within these notions of ‘acceptable’ gender performance while both ultimately fail, in their own ways, to properly act out their pre-created roles. By the end of their stories they represent a very real threat to male sexual potency and male control; hence they must inevitably be destroyed. So why create them in the first place? Why desire, seek out, and in the case of the Fembot, willing fabricate a creature whose very nature rebels against the gender imposed norms of the society it by needs must inhabit? This entry was posted in Academic and tagged Academic, Artificial Intelligence, Arts, Barbara Stanwyck, Computing Machinery and Intelligence, Creative, Double Indemnity, Essay, Fembot, Feminism, Feminism and the Figure of the Fembot, Feminist theory, Femme Fatale, Film Noir, Gender, gendered body, Gloria Swanson, nature, Non-Fiction, Protagonist, Robin Jeffrey, Sunset Boulevard, The Dark, The Femme Fatale, William Holden, Women's studies, Writing. Bookmark the permalink.